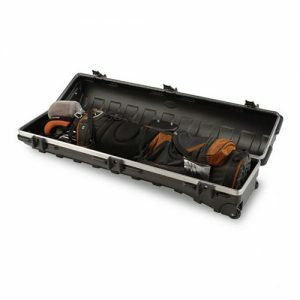 SKB Corporation has developed a new case to accommodate 50 Calibre rifles and all of the gear that is needed for a day at the range. Perfect for all Barrett 50 Cal Rifles (e.g. Barrett m82a1, Barrett m107, Barrett m95, etc). 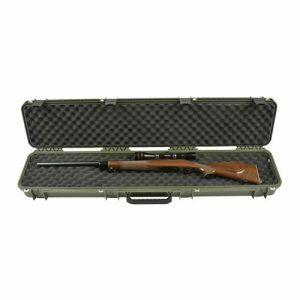 The new 2SKB-6019 ATA 50 Calibre Case is a polyethylene moulded shell with weather resistant 0-ring seal for moisture protection and features SKB’s bumper protected patented trigger release latches and locking hasps for a customer supplied lock. 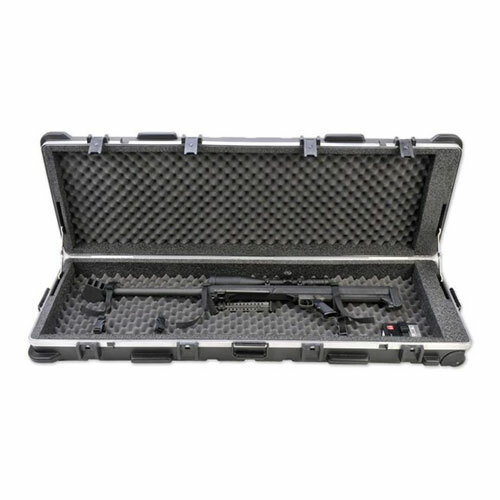 The interior of the case measures 56″ L x 17″ W x 5″ D and features a high density PE and convoluted foam interior for cushioned protection with three sets of nylon cinch strap tie downs to secure the gun. 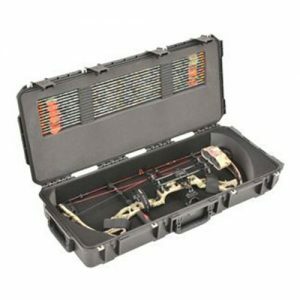 SKB’s design engineers even provided four sets of cinch strap tie downs to secure boxes of shells, extra clips and bi-pod with plenty of room to store extra gear when travelling to a shoot. Comfortable spring loaded handles and wide-tracking wheels provide for easy transport of your 50 calibre equipment. The case colour runs through the material so scratches are invisible and the “poly” is impervious to all solvents, oils, fuels and acids. This case also exceeds ATA specification 300 category 1, the highest standard for an airline transport container (a minimum of the 100 trips by air). This case is covered under SKB’s Unconditional Lifetime Warranty.